Hiking, biking, and invasive species research! The Lupine trail offers exceptional views of Paradise Divide – perfect for a shorter hike or bike ride. This summer, researchers have been using the Lupine property as an outdoor laboratory, too! Rocky Mountain beardtongue (Penstemon strictus) growing on the Lupine trail. Wilnelia Recart is a PhD candidate at the University of California, Irvine. 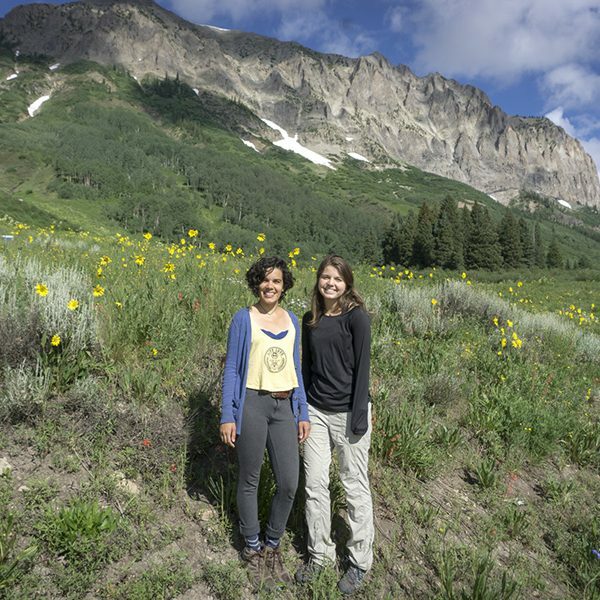 She spends her summers doing research at the Rocky Mountain Biological Laboratory (RMBL). This summer, you might spot Wilnelia and her assistant, Ashley Morse, an undergraduate student at Wesleyan University, schlepping water jugs up and down the Lupine trail. 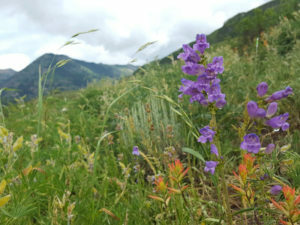 Wilnelia is studying how the invasive plant, “butter and eggs” (Linaria vulgaris), might impact pollination of one of our native wildflowers, Rocky Mountain beardtongue (Penstemon strictus). She is curious to know whether the presence of invasive plants like “butter and eggs,” can change the behavior of the bees and wasps that pollinate native wildflowers, and if that might have evolutionary implications for the shape and design of flowers. As climate change causes earlier snowmelt, varied precipitation, and drier soils, bees and butterflies may be less effective at transferring pollen. That could mean that fewer or different flowers are able to reproduce. Ashley is studying how these changes in water availability may impact the pollination of the Rocky Mountain beardtongue. She wants to know how good different pollinators are at pollinating and generating seeds in Rocky Mountain beardtongue. Does water availability change anything? 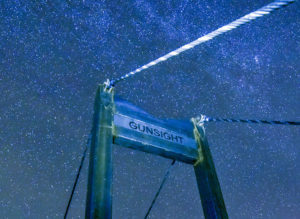 It’s likely that the hills and meadows of the Gunnison Valley will look very different in the years to come. Part of stewarding the land that we conserve involves controlling invasive plants like “butter and eggs.” In addition to the pollination issues that Wilnelia and Ashley are studying, invasive weeds take up space and resources, competing with native wildflowers. Already this year, our stewardship team has pull and sprayed truck-loads of weeds, underscoring the crucial need for stewardship work to maintain our beautiful fields of native wildflowers.